Can you handle the G-Force? 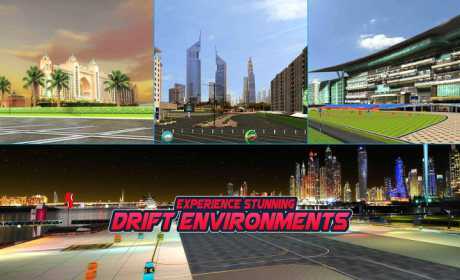 Experience the most unique, thrilling, super fast, nerve racking game that takes racing & drifting motor sport to a completely new level. Own your garage, cars, and crew. Be a racer within your team or let them race in your garage’s name. Download it now and step into the spot light and show them what you’ve got! For the first time, race in the famous Dubai Police supercars. Choose from an elite collection of exotic, custom made, tuned for highest performance cars. Compete in more than 15 locations, all across Dubai. Covering the most iconic locations in the world. 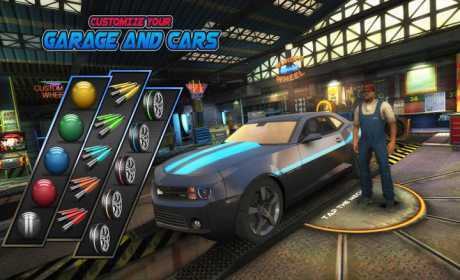 With more than 70 customizable variations, 6 upgradable parts, and car tuning features. Customize your cars to the one you always wanted. Connect with your Facebook friends and challenge them or ask them for help to progress. Now you can hire driver to compete with you, for you, in the events. Train them to make them more skilled. Create your team of highly skilled drivers, to battle against the enemy cars. Events became more exciting with team vs team. Race with your team drivers to fight against the opponent. Create the best combination of drivers to win the most difficult of the matches. Let your drivers win races for you. You can just manage your team and analyze their performance in the race. Now you can race with people from all around the world. Earn trophies and defend your position. The trophies that you earn puts you in different leagues. Earn more trophies to climb up the leagues to ultimate LEGENDS. Create your Car Clan or join your friend’s Clan. Help your Clan members and discuss strategies with them. Keep track of all the matches in battle log. Check who attacked you, when you were offline and take revenge from them! Secure your garage by buying shield. You can get automatic shield if someone attacks you and wins.